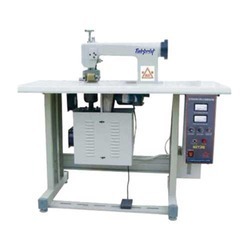 Pioneers in the industry, we offer ultrasonic bag sealing machine, bag sealing machine, ultrasonic fabric sealing machine and lace machine from India. Owing to our rich industry experience, we are trading of quality-approved Ultrasonic Bag Sealing Machine. 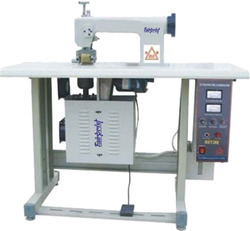 The machines made available by us are used for regular and irregular shaping of non-woven fabric. These machines can make high quality ultrasonic bags with good strength and can be used for making handle strips of the bags. 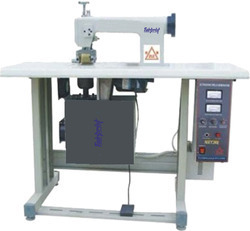 FAIRPRINT Ultrasonic Bag Sealing Machine is a Unique Solution for regular irregular shape of Non-Woven Fabric. This is highly cost competitive solution for moderate volumes. FAIRPRINT Ultrasonic Fabric Sealing Machine is a Unique Solution for regular irregular shape of Non-Woven Fabric. This is highly cost competitive solution for moderate volumes. FAIRPRINT Lace Machine is a Unique Solution for regular irregular shape of Non-Woven Fabric. This is highly cost competitive solution for moderate volumes.